CHIROPRACTIC HELP #36: X-rays Are they reliable? Whilhelm Röntgen‎ discovered X-rays in the same year that Daniel D. Palmer "discovered" modern Chiropractic. 1895, nearly 125 years ago. Ever since, X-rays have played a major part, not only in Chiropractic for a proper understanding of the spine, but also in the Medical diagnosis and treatment of disease, particularly of bones. Is the offending structure clearly seen on the X-ray? Could it be an "incidental finding?" True but irrelevant. How reliable are the doctors' reports? The answer is an unequivocal YES. Early radiologists and radiological technologists, until they started using protection, suffered from a significantly higher risk of leukaemia, skin and breast cancers. Now it's mainly their patients who suffer the risk. You! While there've been collosal advances in X-ray technology, reducing exposure to ionising radiation, medical research reveals that at least 7% of cancer today is caused by radiation from man-made sources, predominantly X-rays, bone- and CT-scans and mammograms. Every doctor has to ask him.herself the question: do we really need this X-ray? We all look forward to the day when MR becomes cheaper, and exposure to ionising radiation can be drastically reduced. The evidence that doctors, medical and chiropractic alike, have actually caused many of our patients' cancers has led to another complication. We are increasingly reluctant to order X-rays, or request only limited views, and radiologist are reluctant to take full series of X-rays, increasing the risk of missing an important diagnosis. A 12 year-old child fell heavily and experienced very severe lower back pain. It was important to rule out fracture, particularly of the so-called "pars inter-articularis" as chiropractic manipulation would obviously be contra-indicated. The radiologist flatly refused to take "oblique" X-rays because of the increased radiation. Perhaps rightly so, but we missed a pars fracture, often very difficult to see on a more limited series of X-rays. A fracture through the "pars interarticularis", particularly in a child should immediately be immobilised in a corset. Sometimes it will heal. Research and medical opinion is stressing the importance of foods that decrease inflammation. And, for that matter, foods that increase inflammation. What's more, is inflammation in joints not allied to inflammation in blood vessels? Is the inflammation in the brain quite different to the inflammation that causes polymyalgia? Is the inflammation of gout in the big toe really that different to the inflammation that causes severe ulcerative colitis in the large intestine? Or are these all a similar process that is simply affecting different organs, perhaps because of other factors. For example, inflammation in blood vessels is more directly affected by smoking than in other organs. In a landmark lecture a veteran heart surgeon of over 5,000 open-heart surgeries is now suggesting that the medical advice of changing from animal fat to polyunsaturated fats, and the use of statins, is the reason that the insides of blood vessels gets redder and more inflamed as the years go by, and cardiovascular disease continues to rise. Astonishing to hear a heart surgeon recommending that we return to moderate use of butter rather than eat polyunsaturated margarines. Read more of his lecture at foods to reduce inflammation ... "eat the foods that your grandmother ate, not what your mother cooks," he says. This is very complex biochemistry, but research is pointing to the ratio of omega-6 /omega-3 which should be kept as low as possible in the diet to reduce generalised inflammation. That means staying away from seed oils like maize oil and sunflower oil (with a possible exception of canola) because they are high in omega-6. Instead use butter in moderation, and olive oil. And increasing your omega-3 fatty acids. 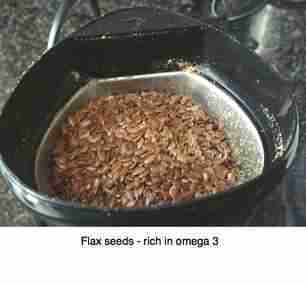 That means fatty fish like salmon, freshly ground flaxseed and regularly eating walnuts. Use the "Search this site" function @ Chiropractic-help.com for more about using these foods to reduce inflammation. Constipation is directly related to colo-rectal cancer. Ring a bell? Back to the food granny dished up. 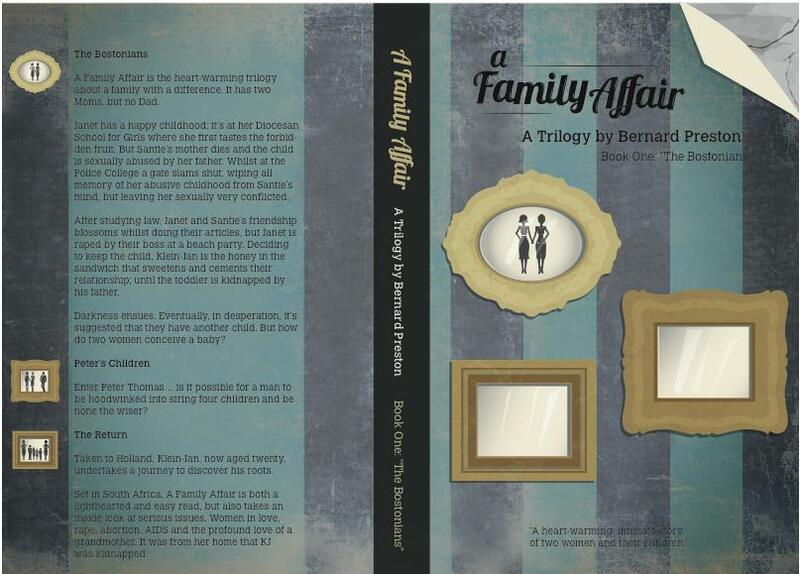 My apologies to you who have downloaded the third book from my spicy, controversial trilogy, A Family Affair. If you downloaded a copy where the script only covered half the page, please let me know, and I'll send you a gratis copy. "We are all failures -- at least the best of us are." Perhaps you too love the Peter Pan stories. J.M. Barrie has always been a favourite of mine, not least because I was named after him. Barrie, not Barry, Lewis! Soooo many great people have reminded us again and again of the importance of striving to be more than we actually think we are capable of. That a man's reach should exceed his grasp, as Robert Browning wrote. But that means we'll be failures for sure! "It is only possible to succeed at second-rate pursuits. First-rate pursuits - involving, as they must, trying to understand what life is all about and conveying that understanding - inevitably result in a sense of failure." My fourth book - so long that it ended up being a trilogy - is such a striving. 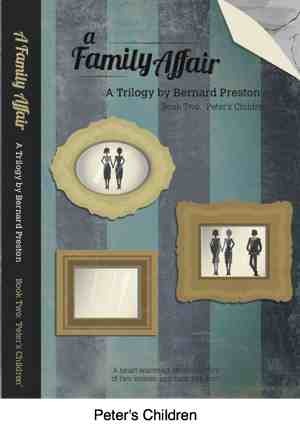 If you too don't understand homosexuality, then perhaps this book, born out of a strange dream, may be for you. It's neither pro- nor anti-homosexuality. 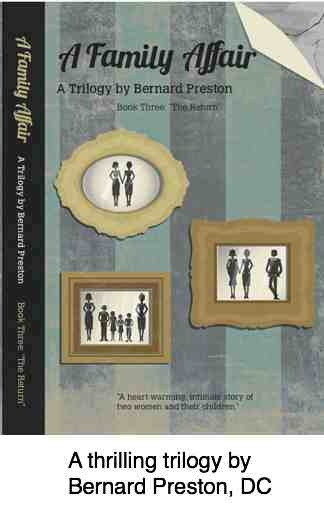 It's not a popular book amongst lesbians because neither Santie nor Janet were "born" lesbians. They were induced into it by traumatic circumstances. You may not agree with the sentiments expressed in this book, but one thing I can promise you. You will enjoy A Family Affair. You need an eReader, tablet or smartphone. You could read it on your computer, but it's tiresome; you can't take a computer to bed like a Kindle! Hold onto your hat! 99c each. An easy read, but serious, difficult issues raised.